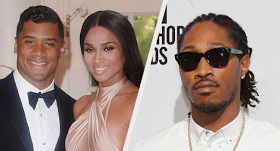 Ciara is suing her baby daddy, hip hop star, Future, for $15 million for slander and libel. She is angry at him for allegedly blasting her mothering skills and attacking her relationship with current boyfriend Russell Wilson in a bid to promote his music. TMZ reports below..